Glin Development Association Ltd invite and welcome sponsorship & donations & those who give are acknowledged on a sponsors list and may have name plates attached to Glin Heritage Trail furniture and equipment if they wish. 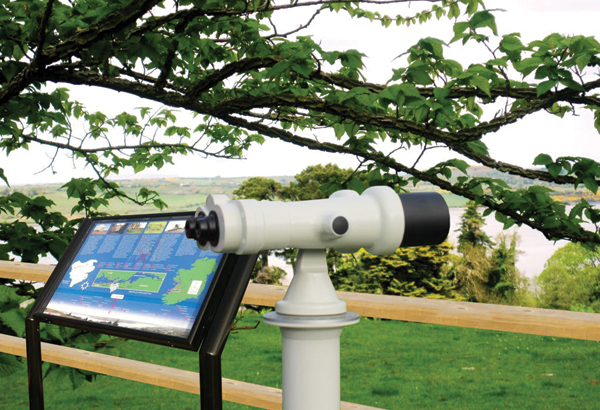 Interpretive Panels and binoculars (see image) and some benches have been sponsored. Benches and picnic tables in the Town Park and Knockaranna can also be sponsored now. Binoculars positioned on the Knights Walk. Interpretive Panels located along Glin Heritage Trails.